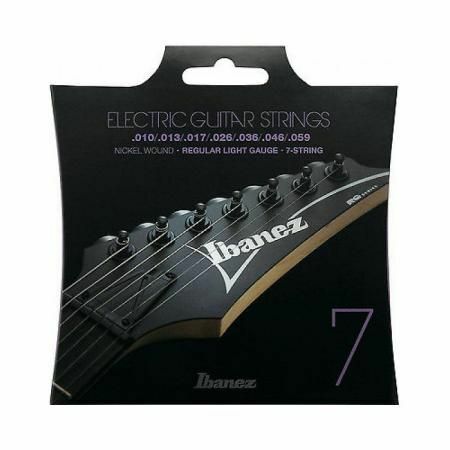 This Ibanez IBIEGS71 set is made specifically for the 7-string electric guitar. As these light strings have a bright tonal character with a high attack, they are ideal to cut through your mix with your solos. Because the strings in this set have a medium gauge, they are perfect for playing rhythms as well as solo parts. Their versatile sound makes these strings ideal for any style of music. The gauges of the strings are: .010 – .013 – .017 – .026 – .036 – .046 – .059.